The West Cashmere Bridge is looking for a new home. Built in 1929, the West Cashmere Bridge originally served to connect orchardists on the north bank of the agricultural community to the small town of Cashmere on the south bank of the Wenatchee River. The bridge, commonly called the Goodwin Bridge by locals, was an important channel for goods being shipped out of Cashmere via the railroad line or Sunset Highway, one of the original primary automobile roads in Washington. Today, the bridge is slated for replacement. Chelan County has determined the 88-year-old structure is a fracture-critical bridge that is functionally obsolete and structurally deficient. It is currently posted for both weight and height restrictions, restricting most freight haulers, school buses, local transit buses and some emergency vehicles from using it. In fact, county engineers predict the bridge may be closed by 2022 because of its progressive deterioration. Construction on a new bridge will begin in 2020, and the project will cost $23.5 million. As part of the federal permit obtained for construction of the replacement bridge, Chelan County is moving forward with a marketing plan to attract a new owner for the historic bridge who will relocate and restore the historic portion of the bridge. Watch the video here. Most people don’t know that three different types of bridges were utilized in the design of the West Cashmere Bridge. Beginning at the south approach: A 34-foot, 6-inch reinforced concrete girder span; an 82-foot through steel riveted plate girder span over future railroad tracks that were never installed; two 117-foot riveted steel Warren deck truss spans with verticals over the Wenatchee River; and three variable length (each about 35 feet long), reinforced concrete girder spans at the north approach. The curb-to-curb roadway width of the bridge is 20 feet. The most significant segments of the bridge are its two 117-foot riveted steel Warren deck truss spans with verticals. While a small number of Warren through trusses remain, the number of Warren deck trusses is rare in Washington. Warren trusses became popular in the late 1930s; so Warren trusses built before the 1930s are substantially more significant than those built later due to their rarity. In addition, this was about the era when heavy standard steel-rolled sections were being introduced into the design of the truss members. The West Cashmere Bridge is one of the last bridges standing that uses truss members fabricated via the “build-up” method of light-rolled steel sections with tie plates and lacings. The bridge was designed by Maury M. Caldwell, who designed other notable bridges throughout the state. In 1922, Caldwell designed the Pasco-Kennewick Bridge, a 1,410-foot steel cantilever structure that crossed the Columbia River. 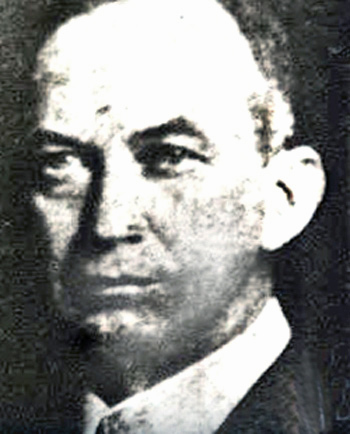 Henry Hagman built the local bridge as well as many other bridges throughout the Pacific Northwest. In 1931, Hagman built the nearby Monitor Bridge, a concrete arch bridge that crosses the Wenatchee River at Main Street. The new owner of the bridge will take over ownership of the two 117-foot Warren deck truss spans. The steel portions of the bridge have rust pockets and corrosion and areas of lead paint. For a full history of the bridge, visit HistoryLink.org, the largest online encyclopedia of state history. Maintain the bridge and the features that give it its historic significance and continued eligibility for the National Register of Historic Places. Assume all future legal and financial responsibility for the bridge, including providing an agreement to hold Chelan County harmless in any liability action. Pay for the hauling away of the Warren deck truss spans, their transportation to a new location and their reassembling. The new owner will be responsible for determining the cost and preparing for and conducting the relocation of the bridge. The county will pay a maximum of $110,000 toward the cost of dismantling the steel trusses, but the new owner will bear the cost of removal from the site, transportation to a new location and reassembly. This offer to take ownership and relocate the bridge is available until January 2019. Chelan County will dispose of the steel truss if, after January 2019, no preservation sites or reasonable and sufficient funding sources have been successfully identified for the permanent preservation of the bridge. To ensure the history of the bridge is preserved, the county contracted with HistoryLink, an online encyclopedia of state history. HistoryLink wrote a historical piece about the bridge and its designer that is posted on its website. WSDOT also is working on an inventory of all historic bridges in Chelan County that should be available later this year. So are you interested in owning a bridge while preserving a piece of local history? Prospective purchasers are required to review legal requirements, including but not limited to, the requirement sin 23 US Code 144 (g)(5) and 23 US Code 144 (g)(4)(b). The new owner must enter into an agreement with the county and secure a required contract bond as well. A bridge spec sheet is available for interested purchasers. For more information, contact Jill FitzSimmons at 509-667-6415 or at jill.fitzsimmons@co.chelan.wa.us. 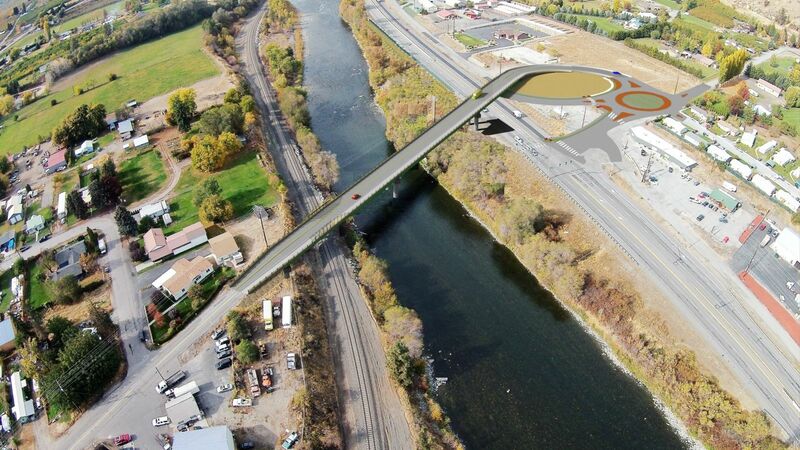 For a look at what the replacement bridge will look like, visit the project's webpage.